This is the new world – it’s time to be bold. With striking rich browns, sublime dark tans or creamy whites, a Mac&Wood American walnut dining table is destined to imbue your home with the spirit of discovery. There are no half-measures with this gorgeous wood. Its solid, unabashed colour will steal the scene at any party and serve as the focal point of your future memories. In short, it’s a statement of intent, a confident self-assertion that cannot be ignored. 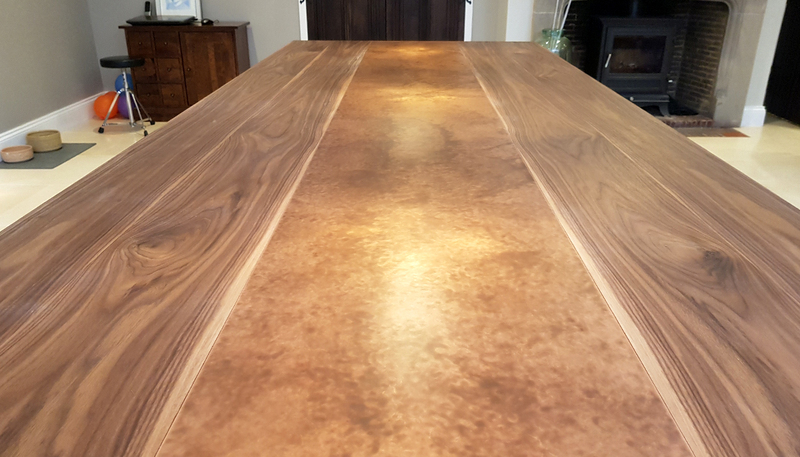 Although American walnut is often described as a simple, dark brown wood, in reality, it has a range of naturally beautiful colours for you to choose from. The heartwood offers a dark tan hue with subtle hints of purple and green, while the outer bark produces a chocolate brown colour with streaks of pale yellow. But if you’re looking for something brighter, the sapwood is ideal, and it comes in a delightful, illuminating creamy white. While true in the general sense, every tree has its own identity, meaning that every single American walnut dining table we create has a distinctive character without an equal, duplicate or counterpart. Any item you order from Mac&Wood truly belongs to you in every single way. The table will remain yours for years to come, ageing in a graceful, subtle manner that will only serve to enhance its beauty. As time goes by, it will adopt more and more of your personality, soaking up the memories of your household and reflecting the life you have led around it. Every American walnut dining table from Mac&Wood is fitted with solid yet sleek metal frames that can be tailored to your specifications. With minimal maintenance, these tables are strong enough to withstand the stresses of a vibrant, busy homestead, and they can be easily cleaned with a quick wipe down. Feel adventurous? It’s time to reclaim the wonder and freedom that empowered the frontiersmen as they ventured into the Wild West. 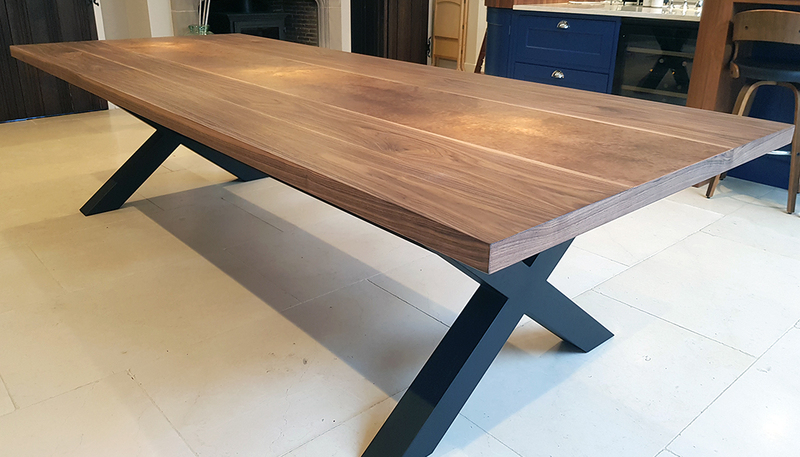 Be a pioneer and set a Mac&Wood American walnut dining table at the centre of your home.